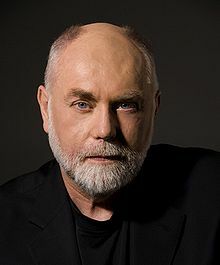 رابرت دیوید هال (اینگیلیسجه: Robert David Hall) آمریکالی اوْیونچو. ۹ نوْوامبر ۱۹۴۷ ‏ ایلینده دۆنیایا گؤز آچیب. 1986 ABC Weekend Specials Dinky Little (voice role) Episode: "Liberty and the Littles"
1989 Highway to Heaven Wayne Secrest Episode: "The Squeaky Wheel"
1992 Mann & Machine Dave Murphy Episode: "Prototype"
1992 Batman: The Animated Series Additional voices (voice role) Episode: "Heart of Ice"
1994 Love & War Doug Episode: "The Squeaky Wheel"
1997 Brooklyn South John Keough Episode: "Clown Without Pity"
1997 Party of Five Bureaucrat Episode: "Adjustments"
1998 Promised Land Edward Brogan Episode: "Purple Heart"
1998 The New Batman Adventures Reporter (voice role) Episode: "Mean Seasons"
1999 Touched by an Angel Harry Episode: "Fool of Love"
2000 The West Wing David Nessler Episode: "Celestial Navigation"
2000 Batman Beyond Fulton (voice role) Episode: "Speak No Evil"
2000 Family Law Judge Episode: "Human Error"
2002 The Zeta Project Thad (voice role) Episode: "Eye of the Storm"
2003 Static Shock Pilot (voice role) Episode: "Shebang"
2006 North Mission Road Narrator Episode: "From the Ashes"
2006 Avatar: The Last Airbender Additional voices (voice role) Episode: "Appa's Lost Days"
2007 The Batman Pilot (voice role) Episode: "Artifacts"
2017 sunsaneLand Mr. Tulchinsky Episode: "Mr. Tulchinsky"
اینگیلیسجه ویکی‌پدیاسی‌نین ایشلدنلری طرفیندن یارانمیش«Robert David Hall»، مقاله‌سیندن گؤتورولوبدور. ( ۲۲ ژانویه ۲۰۱۸ تاریخینده یوْخلانیلیبدیر). قارداش پروژه‌لرده رابرت دیوید هال گؤره داها آرتیق بیلگی‌لر تاپابیلرسینیز.